Now I don't know about you but from a very early age, books have been a saviour when it comes to Arthur, they relax him at bedtime and also distract him when he doesn't want to eat his food and we can sneak a few spoons in and they are of course great learning tools, for young and old. For most of us, the final countdown to Christmas is a time when work finally finishes, long lie-ins, hot breakfasts and easy going nights are in order (well maybe not so much if your a mother to a toddler, but we can dream anyway). For kids however, this time of the year is different. We all remember the agonising minute-by-minute delay until the magical day, so help them break up their waiting time with some of these top children's books. Children and spouts are like oil and water, the two just don't mix. This smelly little chap is feeling the lack of love over the christmas period, and funny man Allan Plenderleith keeps kids guessing up until the last page. Follow the nations favourite anonymous postman on his bicycle as he delivers the Christmas post to some of our favourite fairytale characters. The original title, The Jolly Postman, has sold over 6 million copies to date. Little ones love exploring the envelopes, flaps and fold-out letters - and you might too. From the creators of Aliens Love Underpants, Dinosaurs Love Underpants and Pirates Love Underpants comes this seasonal sequel, in which our favourite pant-loving aliens celebrate Christmas in the only way they know how. 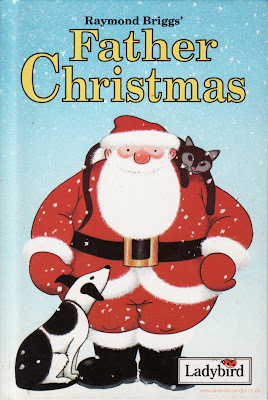 A hint - it involves a lot of pants, and everyone knows kids absolutely love saying the word "pants"
An oldie but a goodie, the best kids books survive for generations and Raymond Briggs's grumpy depiction of Santa Claus is still going strong. Share the magic of "another bloomin Christmas" with your little ones. Christmas may be hectic, but there is always time for a bedtime story! Make bedtime even more fun and shop children's beds at Littlewoods.com, where you'll find a great selection of comfy, stylish beds for kids of all ages. I loved the Jolly Postman as a kid. I had the Christmas one too :) Children's books are so fun.